6 BEDROOM 3 BATHROOM 3 RECEPTION DETACHED HOUSE WITH GARAGE & GARDEN, CHIPSTEAD, SEVENOAKS. NO TENANT FEES! At Bardens Estates we aim to save our customers money by undercutting the fees charged by the big chain estate agents. We are a family run independent estate agents offering property sales, lettings and property management. We aim to offer high levels of service at internet prices. We are based in Tunbridge Wells and are highly experienced in the local property market. 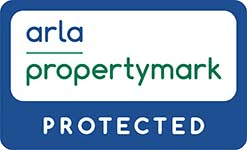 We market our properties on the major property portals including Rightmove and Zoopla. We are also great at promoting on social media and have thousands of followers on Twitter and Facebook. -Pay Later Option: Only a 0.6% sales fee (no sale, no fee) There is nothing to pay with this option until your property sale completes. A home selling for £250,000 would incur a sales fee of £1500. A property that sells for £500,000 would incur a sales fee of £3000. Both options include VAT, photos, floor plans, Energy Performance Certificate, optional For Sale Board, and promotion on Rightmove, Zoopla and on social media. You will receive full support from a local agent who will be able to advise you every step of the way. We DO NOT CHARGE TENANT FEES! Great news for our tenants, typically saving them hundreds of pounds at the start of a tenancy. It is great news for our landlords too as properties tend to let much quicker without tenant fees. Bardens Estates is a member of the National Association of Estate Agents, the Association of Residential Lettings Agents and The Property Ombudsman. All prices quoted are INCLUSIVE of VAT.